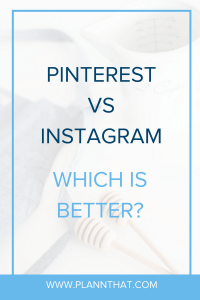 Pinterest vs Instagram: Which is Better For Your Business? If you had to choose, Pinterest vs Instagram, which social media network do you think would give your business the biggest boost? Isn’t that a juicy question?! As Instagram obsessed as we are at Plann, there’s no denying that Pinterest is a pretty awesome social media network that is similar to Instagram in a number of ways. Instagram and Pinterest are different in their approach to visual content sharing, but it’s no secret that both of these social media networks are trying their best to get the attention of business owners all over the world. Even for a savvy social media marketer, the similarities between Pinterest and Instagram can make it a little tricky to decide which is worth putting in the hours to achieve real-world results. Let’s cut the chase and get to the good stuff! Today we’re going to share with you the advantages of both Pinterest and Instagram, and by the end of this blog, you’ll know which social media network is going to give your business the best possible results. In a game of Pinterest vs Instagram, who will come out on top? Take a guess now and scroll down to see if you are right! Both Pinterest and Instagram are all about aesthetics, so it is no surprise that both of these social media networks are popular among more ‘visual’ brands in industries like Fashion, Beauty, Food, etc. The bread and butter of both of these social media networks are visual pieces of content – usually being high-quality images! One key difference between the way that these networks share visual content is the sizing differences as well as the variety of ways to share content on the platforms. Keep on reading for more info on the glaring difference in the way that Pinterest and Instagram share visual content. On Pinterest users can create their own individual ‘Pinterest Boards’ that are dedicated to different topics or themes. Images on Pinterest vary slightly in sizes, however, the constant theme is that all Pinterest images are either a square or a vertical rectangle. Most Pinterest users will use the social media network to curate content posted by others, rather than posting all of their own content. Pinterest users can also collaborate on group boards where they (and a group of like-minded users) will share images to the same board. 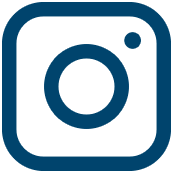 On Instagram users can share images AND videos, and that is one thing that can lead businesses to use Instagram instead of Pinterest. With Instagram, you can also share content in a variety of ways; on your main Instagram feed, on your Instagram Stories, and now you can even share videos up to 10 minutes in length on the stand-alone app, IGTV. Instagram also lends itself to be more about sharing your own unique content, however, a lot of Instagram users are starting to become more familiar with reposting content from other Instagrammers (with their permission). PSST -> Want to repost content on Instagram quickly, easily, and without a gross overlay on the piece of content? You can repost like a pro with the Plann app for FREE! With visual content being the signature of both Pinterest and Instagram, it should come as no surprise that both of these social media networks put a lot of effort into the way they look. In order to keep visual content creators excited and enjoying using these social media networks, it is important that the user experience and overall ‘look + feel’ sits at a high standard. Pinterest has made some minor changes recently to the way the desktop version looks – these changes are so small that you probably haven’t even noticed them! These Pinterest updates are definitely not going to cause a riot like Instagram’s constant (massive) feature updates like IGTV. We do have to give Pinterest some props for having an easy-to-use social media network that is aesthetically pleasing! Oh, Instagram. They do love change, don’t they? Do we need to keep going? Haha! Throughout all of the design changes and new Instagram features we are still fairly happy with the way Instagram looks and feels. What do you think? Are you a fan of the new look, or do you miss the 2015 version of Instagram? Let us know in the comments below. We did already mention a few of the features that both Pinterest and Instagram have released in recent years, but how do these two social media networks stack up when we put them side by side? Let’s find out! On Pinterest, you can do a few handy dandy things! Here are a few of the most commonly used Pinterest features. Now if you’re Instagram marketing obsessed like us, you are probably well aware that Instagram has a whole bunch of features (and more on the way!) that users can make the most of. And that isn’t even ALL of the Instagram features!! We think it’s pretty clear to see that when it comes to Pinterest VS Instagram for features, Instagram is the winner hands down. PSST -> Want to learn how to master the Instagram algorithm? Allow us to be your guide. If you were to start a brand new Pinterest or Instagram account today, how easy do you think it would be to figure out how to use it? Starting from scratch, Pinterest is fairly easy to work out how to use. You can upload your own photos, add a link that you want the photo to link to when clicked. Also, if you want to get fancy with it you can create Pinterest paid ads this way too. Pinterest is a search-engine style social media network so it is important that new users wrap their heads around adding keyword-specific descriptions to their Pins and Pinterest Boards… but that is a different story for another time! One thing that we think is a wee bit tricky for new Pinterest users (especially for Businesses) is authenticating your website. That can be quite the headache. Getting started with Instagram in 2018 and beyond is kind of like learning how to ride a bicycle. You need to start with your training wheels on – focusing on mastering Instagram grid styling, Instagram Hashtag strategy, and getting into the habit of posting frequently. PSST -> Plann is the perfect app to help you grow your Instagram account from the get-go. Download it for free and start scheduling your Instagram posts and planning out your Instagram Hashtag sets. After you’ve mastered your Instagram grid content, you can move onto the more advanced areas like Instagram Stories and IGTV. Pinterest is sitting pretty at 175 million monthly active users, with a whopping 81% of Pinterest users identifying as Females. Instagram recently reached 1 billion users worldwide, which is a massive milestone for this fast-growing social media network. And, when it comes to monthly active users, the last report sat at 800 million monthly active users. Pinterest is well and truly left in the dust! Previously, we mentioned the surprising statistic that 81% of Pinterest users identify as Females. But now, we are going to share with you a few more interesting stats so that you can make the ultimate decision. Pinterest vs Instagram – which one is going to be best for your business. Let’s take a look at age demographics, shall we? Take a moment to whip out your target market document, and then take a whiff of these fresh Pinterest user base numbers. Now when it comes to Instagram, can you guess the most popular age demographic? Dun dun dun… It’s the age bracket of 18-29-year-olds! Although that number probably won’t take you by surprise. Considering that most people we talk about Instagram analytics with note down that when they take a peek at the biggest segment of their Instagram following are between the ages of 18-34. Instagram is also very popular amongst a variety of age groups, countries. 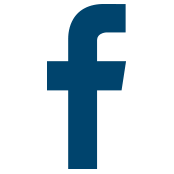 And it happens to be one of the fastest growing social media networks of all time. Huzzah! PINTEREST vs INSTAGRAM: WHICH IS BETTER? After taking a deep-dive on both Pinterest and Instagram, we have to say that in our most humble opinion that Instagram is probably going to be your best bet. Instagram’s audience is far more diversified than Pinterest, there are more users globally, and it is one of the fastest growing social media networks ever. What do you think? Will you continue to use Instagram for business, or are you still thinking of branching out to Pinterest? Let us know in the comments below. Also, feel free to have this debate with your friends and share this article!